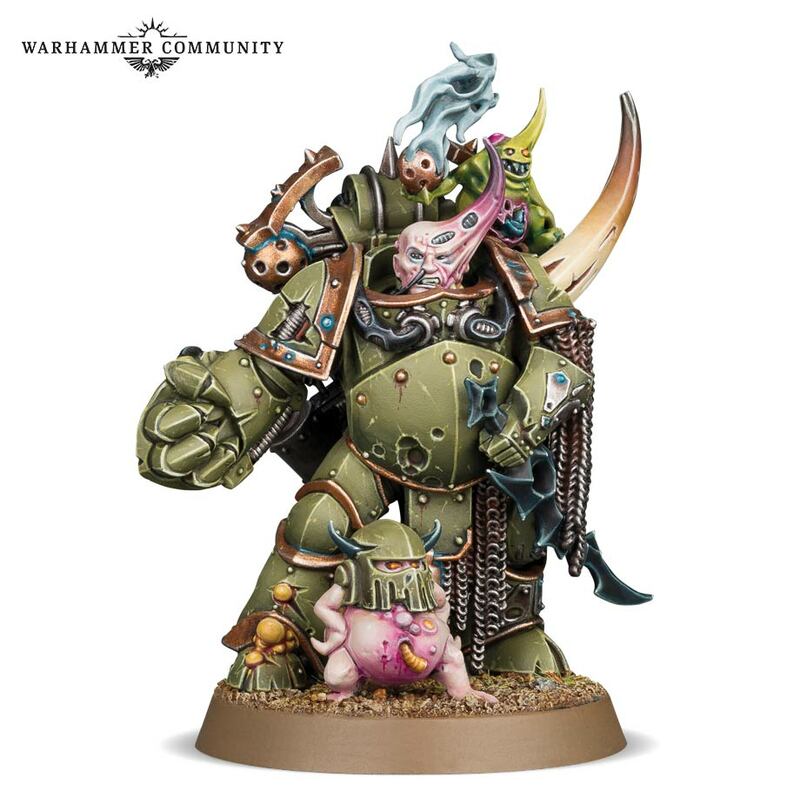 Take a look at what’s coming next week for the Death Guard, Plague Marines and their Biologous Putrefier. Time to take those antibiotics, because a new batch of bile and pus-filled minis are squishing their way onto the scene. Check out what’s coming next week–the multipart Plague Marines and the Biologous Putrefier, Nurgles Bubotic Bombardier. Plague Marines are perhaps one of the most diverse infantry units in the 41st Millennium, armed with a vast range of weapons from the Horus Heresy and beyond. Using the new Plague Marines kit, you’ll be able to arm yours for a range of battlefield roles, from diving into the thick of close combat with bubotic axes and plague knives to hosing the enemy down with the heavy plaguespewer. 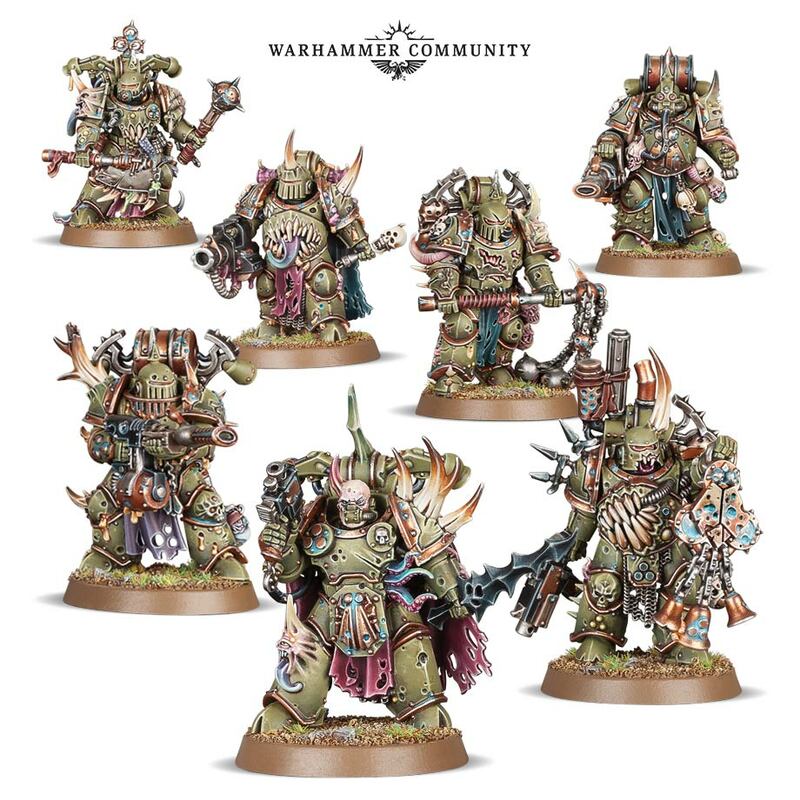 Naturally, the Plague Marines come in a 7-man squad – in honour of the sacred number of Nurgle – but both the Easy to Build Plague Marines and the Plague Brethren set are perfect for bringing the squad up to an even 10. They have options on-sprue for a Plague Champion, though GW does mention that they’ll have some more kits coming soon to help you customize your cyst-covered champion in the way you’d like. The whole thing is probably worth it for this helmeted Nurgling here. I guess it’s true what they say, the head matches the shoulder pads. Also why is one fist so big and the other so tiny? Ah, plague corruption. Speaking of corruption, the Biologous Putrefier is slap coming out next week with his array of gross grenades. The Biologus Putrifier is dedicated to making your blight grenades as powerful as possible, increasing their Strength and Damage by 1 when he’s nearby, and even allowing them to deal mortal wounds! 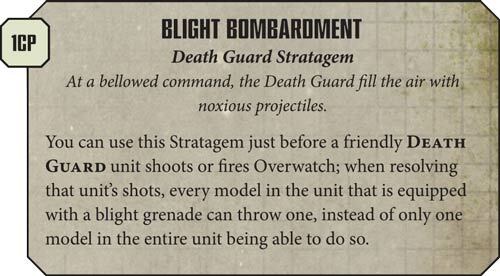 Combine yours with the Blight Bombardment Stratagem on a unit of 20 Plague Marines, and you’d be putting out 20 d6 (an average of 70!) Strength 4, Damage 2 shots at close range – Emperor help anyone caught in that crossfire. Having seen the receiving end of that, it’s all the more reason to try and shoot them off the table before they can get in range. At any rate, the Death Guard will soon be at full strength, so maybe stock up on chicken soup and multidamage attacks.